Just giving you all a heads up. Meet Reiden Patera. 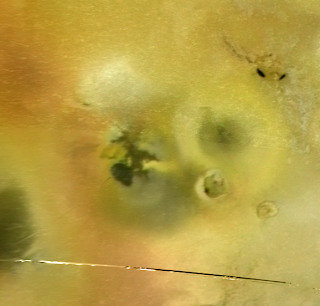 On the surface, it is an ordinary volcanic pit on Io. But in reality, it is anything but ordinary. Every few years, this particular volcano becomes just another part... of the Twilight Zone. Okay, I am not Rod Sterling. However, today I thought I would write a little post on this curious volcano. Actually, it is quite ordinary. Our best resolution images are at only 1.5 km/pixel. It has never been the site of an outburst. However this volcano in the shadow of Pillan has gone through an interesting cycle of activity since the feature was first observed by Voyager 1 in 1979. Reiden Patera is a 73-km wide volcanic depression located on Io's trailing hemisphere a couple hundred kilometers to the southwest of Pillan Patera. 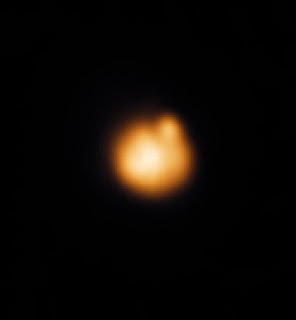 Reiden's proximity to Pillan causes occasional confusion between the two features when trying to identify the source of thermal emission in eclipse and near-infrared images of this region of Io. Reiden generally has a dark green floor with dark spots scattered around the margin of the patera. Surrounding the patera, there is normally a bright annulus, which is then surrounded by a dark annulus. The closest analog seen at high resolution by Galileo would be Camaxtli Patera, a similar-sized volcano on Io's anti-Jupiter hemisphere. Like Reiden, Camaxtli has a floor with a patchwork of bright deposits and dark lava flows, and has concentric bright and dark halos surrounding the depression. Reiden, like Camaxtli, has a roughly polygonal outline, with several straight margins, suggestive of structural control, by pre-existing tectonic faults, of the patera margin. A possible landslide deposit can be seen along Reiden's northern margin. As you can see in the above montage, the appearance of Reiden changed during the course of the Galileo mission. During the first few orbits, several dark spots were seen along the margin, some appearing over time. This suggested on-going volcanic activity centered on the patera margin, and this is substantiated in the thermal data acquired by NIMS and SSI. The camera onboard Galileo, SSI, detected a hotspot at Reiden during the mission's first orbit in late June 1996 (G1). NIMS, the near-infrared spectrometer on Galileo, may have detected a hotspot at Reiden during the second and third orbits (early-September and early-November 1996, respectively), though Lopes et al. 1997 attributes the observed thermal emission to Pillan instead. Changes observed in images acquired in February 1997 (E6) suggests that Reiden was active until shortly after the November 1996, but SSI did show that Reiden had decreased in activity by E6 (in fact, Reiden was not visible in SSI eclipse observations like it was in G1). The lack of changes in images acquired in April 1997 (G7) provides further evidence that the eruption at Reiden had ended. By the next orbit, the outburst eruption at nearby Pillan had begun. Over the next few years, Reiden remained an inactive volcano, and the dark lava flows seen along its margins began to turn from black to dark green. In images acquired in September 1997 (C10), even the dark halo surrounding Reiden was gone, but the inner, bright halo remained. How much topography and the nearby Pillan eruption played in this change isn't clear, but it appears that Reiden's bright halo maybe located on a low, topographic rise that surrounds Reiden as it was not covered by Pillan's pyroclastic deposits and the topographic rise acted as an impedment to the pyroclastic flow. This provides further evidence that Io's dark silicate deposits, associated with some volcanoes like Pillan, Tvashtar, Pele, and Babbar, are deposited in a process akin to terrestrial basal surges compared to the umbrella-like gas plumes Io is so famous for. As Pillan's dark deposit faded in 1998 and 1999, the dark halo seen when Reiden was active remained absent. Reiden reactivated by late 2000 as it was seen as a hotspot by Cassini ISS during that spacecraft's distant flyby on December 30, 2000. Galileo during this time observed a darkening at Reiden, further suggesting that activity had resumed. In addition, Galileo observed fresh reddish deposits to the east and northwest of Reiden, perhaps from this new eruption. During a flyby in October 2001 (I32), Reiden was seen at higher resolution. This observation revealed fresh dark material (compared to comparable data acquired in October 1999) along most of its margin, except to the north (where there is a landslide). Reiden may have reactivated as early as October 1999 (I24), when two dark spots were observed along the margin of the patera, near its southwestern margin and along the southern part of the landslide deposit. Reiden was also seen as active by New Horizons in LORRI imager data and was seen as a dark feature with a bright halo. During the Voyager flybys, it appeared similar to its appearance during the first few orbits of the Galileo mission, though with a dark spot along its northeastern margin, suggesting that Reiden was active during the Voyager mission. Reiden, though named after the Japanese god of thunder (or was it the Mortal Kombat character...), has long been in the shadow of more famous volcanoes like Pillan and Pele, volcanoes that occasional affect the appearance of Reiden and its surrounding terrain. However, the history of activity at Reiden is an interesting one, where several distinct eruption cycles have been observed by multiple spacecraft. All of Reiden's activity has been confined to small effusive eruptions along the depression's margins. This would suggest that perhaps Reiden is a large lava lake, but there is no evidence of a massive crustal recycling event like those seen at Loki, a more classic example of a lava lake on Io. It is possible that magma uses the faults that bound the depression as conduits to reach the surface, explaining why flows are confined to the margins of the patera. However, a passive lava lake would explain the small eruption along the southern margin of the landslide deposit seen during C3 and I24, as the margin of the landslide would likely not be structurally controlled. It is also possible that this northern bright area is not a landslide, but a cool "island", similar to those seen at Loki and Tupan, two volcanoes thought to be lava lakes. Hope you all enjoyed this look at Reiden Patera. I hope to post similar articles about other "forgotten" volcanoes here in the future. Dave Williams will give a talk on December 19 titled, "Volcanism on Io: Insights from Global Geologic Mapping." Williams will describe work his group performed on a new global geologic map of Io that uses a new USGS global mosaic. Geologic maps for other planetary bodies define different morphologic features on the surface, as opposed to terrestrial geologic maps which are ususally based on the mapping of different rock layers. One interesting conclusion they make is that bright lava flows cover more of the surface than dark flows, with some bright flows not being adjacent to dark flows, suggestive of primary sulfur volcanism at some locations. I should point out that many dark flows turn bright over time (like Thor). Windy Jaeger will present a poster on December 18 titled, "Lithospheric Structure and Patera Formation on Io: Implications for Future Observations." As the title suggests, the poster will present how the structure of the lithosphere may influence the formation of volcanic depressions on Io. Jaeger's lithosphere model suggests that the upper few kilometers of the lithosphere consists of interbedded layers of SO2 and cooled silicate lava flows. Below this, silicates dominate with fewer volatiles. When magma rises to the surface, it stalls when it reaches the interface between these two sections, forming sills. These sills then sublimate the SO2 above it, the new void forming a depression, a patera. Jaeger suggests that this model could be tested by future spacecraft by acquiring high-resolution images of patera and mountain flanks, as well as medium-resolution stereo observations acquired over a period of at least a year. Ashley Davies suggests, in his abstract "Using Lava Tube Skylight Thermal Emission Spectra to Determine Lava Composition on Io: Quantitative Constraints for Observations by Future Missions to the Jovian System," that observing holes (known as skylights) over active lava tubes. Lava tubes keep erupted magma mobile by insulating it, generally maintaining the lava at temperatures close to the eruption temperature. This temperature would provide an an important constraint on composition. In "Lava Fountains on Io: Implications for the Interior and Future Observations," Laszlo Keszthelyi looks at the same problem from a different approach. He suggests that imaging lava fountains would be useful for determining Io's lava composition. To accomplish this, data would need to be acquired over multiple filters over a very short period of time, likely less than 0.1 seconds. 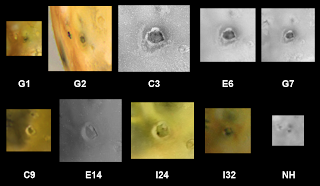 The camera system planned for the Io Volcanic Observer would image Io in four filters simultaneously for this very reason. Julie Rathbun will present a poster titled, "Io from Ground-based Eclipse Observations: Implications for the Eruptive History of Loki." This appears to cover the same territory as the talk she gave at DPS. October 20 has almost come and gone, and the abstracts for the AGU Fall Meeting are not online yet. I will post here when they are. The Galilean Satellites session at the DPS meeting was held this morning in Ithaca, New York. The talks were also online as a webcast, allowing me to view (and all of you) to view the talks despite not being at the conference. The talks mostly focused on the icy satellites of Jupiter, particularly Europa and Ganymede, but two talks covered Io specifically. The first was given by Julie Rathbun (with co-author John Spencer) and was titled, "Loki, Io: Fitting a lava lake model to Eclipse Observations" (link takes you the abstract). The second was given by Nick Schneider (with coauthors C. Grava and C. Barbieri) and was titled, "Unusual Velocity Structures of Neutral Sodium Near Io's Wake." Rathbun presented ground-based data of Io at multiple wavelengths in the near-infrared portion of the spectrum. This was done to see if the lava lake crust floundering model for Loki's eruption behavior was supported using multi-wavelength observations. 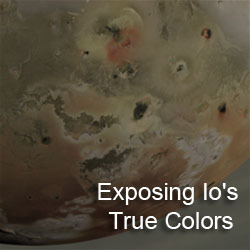 Ground-based observers have been monitoring activity at Loki Patera, the largest volcanic depression on Io, since 1988. This observation campaign has revealed that Loki goes through a cycle of activity, with periods of high-thermal emission (also called brightenings) and low emission. The Rathbun model suggests that this cycle is related to the style of activity at Loki. 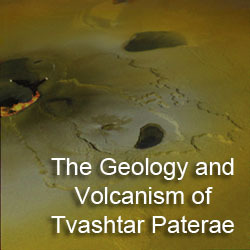 She (and her co-authors) propose that Loki Patera is a large lava lake, a depression filled with molten lava and covered by a thin crust of porous, solidified lava. Over time, this crust thickens to the point where the crust starts to collapse. This collapse occurs as a wave, moving from the southwest margin of the patera then counter-clockwise around the interior "island" to the northwest margin. A new thin crust forms behind this collapse wave, and is allowed to thicken until it is no longer bouyant over the molten lava below. 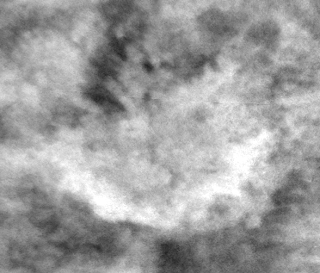 To test to see if this model is supported at multiple wavelengths, Rathbun examined disk-resolved Io images taken at NASA's Infrared Telescope Facility (IRTF) at 2.26 μm and 4.78 μm (similar to the image at right), to go along with the 3.5 μm observations used to develop their lava lake model. Using the model, which takes into account the average duration of a brightening event and the average peak 3.5 μm brightness during these events, they can predict the brightness of Loki at the other two wavelengths and the amount of power output in Gigawatts per micron per steradian. For the 3.5 μm observations, Rathbun and Spencer used occultation light curves, disk-integrated measurements of Io's brightness as it either leaves or enters Jupiter's shadow. Knowing the position of Io and the timing of these measurements, the authors can extract a position for any thermal emission source seen in the lightcurves. 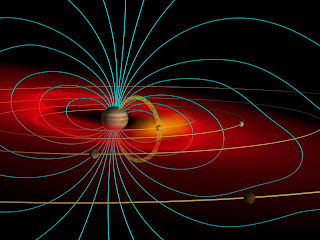 For the disk-resolved images at the other two wavelengths, Rathbun and Spencer had to subtract the contribution from the other volcanoes on the sub-Jovian hemisphere to obtain an estimate for the brightness of Loki. Rathbun accomplished this by comparing global brightness measurements derived from the IRTF images between periods when Loki was active and when it was inactive. By subtracting the average global brightness between those two periods, she could get an estimate of Loki's average brightness during a brightening at 2.26 μm and 4.78 μm. The estimates had pretty large error bars, but the estimates seem to fit the predicted values from her lava lake model. This technique was also performed with IRTF observations at 3.5 μm, and they fit the occultation light curve measurements. Rathbun and Spencer plan to compare the 2.26 μm estimates to a couple of lightcurve measurements at 2.2 μm accomplished during the Galileo mission. They also plan to look at the individual observations from the Galileo era when they had great temporal resolution. The other talk, by Nick Schnieder, covered "Unusual Velocity Structures near Io's Wake." 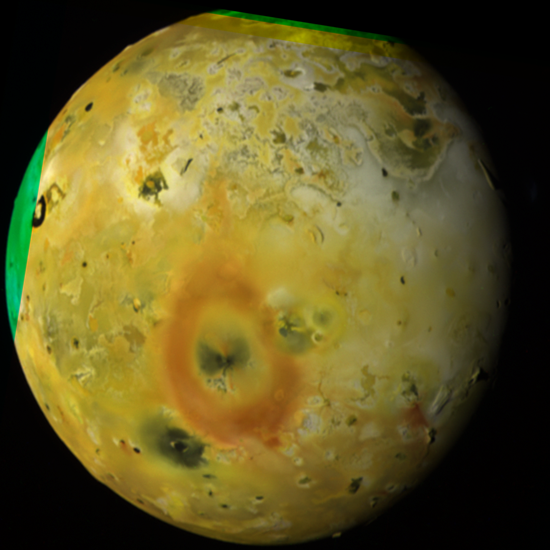 Io's atmosphere (and ultimately its volcanoes) supplies material for various structures in Jupiter's magnetosphere. 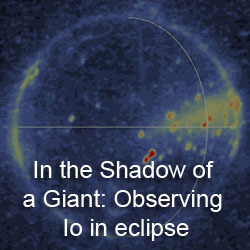 Schneider used a spectrograph at the Telescopio Nationale Galileo in the Canary Islands to observe the various escape features for sodium in the banana-shaped neutral cloud that surrounds Io as Io went into and out of Jupiter's shadow. These include streams of fast moving sodium atoms from the neutral cloud and jets of sodium from Io's ionosphere. Schneider's observations revealed an additional escape mechanism. In this case, sodium jets away from Io toward Jupiter at only 15 km/sec. This suggests the sodium originates on the Jupiter-facing hemisphere and is perhaps limited to the leading hemisphere. How these jets are generated has not been determined. However, this new sodium features may provide a new way to study Io's volcanism, atmosphere, and plasma environment from Earth. NASA Night at DPS just ended a few minutes ago, and I took the opportunity to view the presentations online. In a bit, it should also be archived for everyone to view here. NASA Night is an opportunity from program heads at NASA HQ in Washington to speak to the Planetary Science community about what NASA HQ is doing with respect to the Planetary Science Division at NASA and for them to get input from the community. These events can often be contentious as changed made by NASA HQ with how things are done and what missions and announcements of opportunity are coming up can effect people's funding and lively hood. There were two presentations given at NASA Night. The first was given by the director of NASA's Planetary Science Division (PSD), Jim Green, and the second was given by the director of SARA (the grant program at NASA), Max Bernstein. There was a question and answer session following each talk. Jim Green's talk provided the most meat at NASA Night. He discussed the problems the Mars Science Laboratory has been having lately, the upcoming New Frontiers and Discovery Announcements of Opportunity (AO), the next Decadal Survey, the Outer Planets Flagship Mission, and the new travel and conference funding for NASA employees. Obviously he covered quite a bit of territory. As is known by now, the Mars Science Laboratory recently incurred yet another cost overrun, more than the overguide threshold requied by NASA. This resulted in a review with the adminstrator. From this meeting last week, the adminstrator agreed to keep MSL on the current launch schedule for 2009. However, funding issues remain. The PSD will perform a review of the extent of the overruns, as the JPL estimates appear to lack credibility. Once this is done, the PSD will determine how to cover the costs. Green assured the audience that he will use the Planetary Science Subcommittee's recommendations to only get the funds from missions outside the Mars Program (like Juno) as a last resort, with funding mostly coming out of JPL and the Mars Program (possibly affecting MAVEN). The PSD will then worth with the White House Budget Office and the Congress to finalize a resolution, though with MSL now 30% (or more) over the initial budget estimate, Congress could decide to cancel MSL. At the moment, there are no plans to descope instruments on MSL. Green next discussed the next Decadal Survey. Decadal Surveys act as a guide for NASA when selecting missions and instruments over the next 10 years. The last Decadal Survey in 2001 promoted Pluto/Kuiper Belt flyby and Jupiter missions as the top priorities for the New Frontiers program, which resulted in the selection of New Horizons and Juno. The last survey also excluded the Mars program from the priority list, since at the time (and still to this day) the Mars program is separate from missions to the rest of the solar system. The next Decadal Survey, scheduled for 2011, will include Martian and Lunar missions. Extrasolar planets will be covered by the Astrophysics Division. Green next discussed the Discovery and New Frontiers programs. Green briefly covered the DSMCE program (pronounced DOS-MICE). This was a mission concept study program to see what kinds of Discovery-class missions could be performed if the proposers were given two free Stirling Radioisotope engines for energy, rather than solar panels, which have been used for all previous Discovery-class missions. One of the concepts they are looking at is the Io Volcano Observer, a study led by my advisor, Alfred McEwen. Reports from these studies are due in December. The next Discovery AO is planned for 6 months after the New Frontiers AO. Green said that the decision to use government-furnished Sterling engines for this next AO has not been made yet. The next New Frontiers AO is currently being developed. The draft AO will be released soon, and will be available for public comment for three months before the final AO is posted. Green then briefly covered the Outer Planets Flagship Mission selection. Nothing new to report since the PSS meeting a couple of weeks ago. Green did confirm that the change in the planned launch window, from 2016-2017 to 2018-2022, was done so that the NASA-provided mission components would launch closer in time to the ESA-provided components. Finally, Green reported that NASA is severely restricting funding for NASA employees to go to conferences as well as sponsorship of conferences. This restriction includes attendance at DPS, LPSC, and AGU. This would limit the number of civil servant employees at these conferences, such as those from JPL and Ames. Jonathan Lunine, during the Q&A session, brought up the argument that this restriction, which maybe temporary, would limit grad students exposure to federal civil servants, which could make employment at NASA facilities less attractive. In additional, the restriction could cause a drop in membership to professional organizations like AGU and AAS as NASA employees would no longer benefit from the reduction in attendance fees at conferences. Don't forget, the Galilean Satellites session is scheduled for tomorrow morning at 5:30am EDT. Despite still being in Tucson, for the last few days I have been remotely attending the DPS meeting in Ithaca, New York. The DPS meeting (otherwise known as the Meeting of the Division of Planetary Science of the American Astronomical Society... *phew*) is one of the big three American planetary science meetings, which also includes LPSC (generally in March), the AGU Spring Meeting (generally in May), and the AGU Fall Meeting (generally in December). I attended the DPS meeting last year, and even gave a talk on the Cassini camera's observations of Titan's trailing hemisphere. So this year, I am watching the DPS meeting online via Cornell University's Live Webcasting system. No Io-related results in the talks presented so far, but there were quite a few sessions I was interested in. First and foremost for me were the Titan sessions. In fact, it seems like Titan has replaced Mars in importance at DPS with three Titan oral sessions versus just one Mars surface session. Perhaps the talks that had most relevence to Io in these Titan sessions were the "Subsurface" talks given yesterday morning. Many of these talks related to surface processes generated by internal activity, such as topography, mountains, and cryovolcanism. The cryovolcanism talks, given by Rosaly Lopes, Bob Nelson, and Ashley Davies, often sounded like Io talks from a few years ago. Lopes discussed RADAR results at a feature known as Hotei Arcus, seen above in ISS data from July's T45 flyby. The RADAR team inteprets some of the features in the region as cryolava flows, composed of water and ammonia. 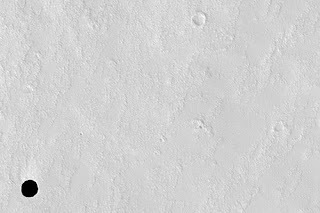 The flows appear to be part of a compound flow field, similar to Amirani and Prometheus on Io. The main body of the flow field appears bright in RADAR, indicating a rough surface. On top of this flow field are several large flow lobes that are darker, or smoother, than the rest of the flow field. Bob Nelson gave a talk on the photometry of Hotei Arcus and a region in western Xanadu. These two regions correspond to areas where RADAR has seen evidence for compound flow fields. Based on a comparison of several observations acquired by VIMS, Nelson suggests that brightness changes have been observed at these regions, possibly due to fumerolic activity at these sites. With the addition of the RADAR results, Nelson's finding are becoming a lot more convincing. Finally, Ashley Davies presenting a cooling model for cryolava flows on the surface of Titan, similar to cooling models he presented for Io in recent years. The Galilean Satellites session takes place Wednesday morning starting at 8:30 am EDT (5:30 am Tucson time). You can catch it live or archived following the talk by following this link. The only Io surface-related talk to be given tomorrow is by Julie Rathbun. She will talk about ground-based observations of Loki at multiple wavelengths. I will present a summary on the blog tomorrow afternoon. Also, tonight, the NASA Night session will be presented online at 7:30 pm EDT (4:30 pm Tucson time). These are always pretty interesting. I am not sure if the Outer Planets flagship mission will be discussed, but you can presume the recent headaches over the Mars Science Laboratory will. The AGU Fall Meeting Science Program page is now stating that AGU abstracts will be posted online, along with the schedule of session, on October 20. I will post more about the few Io abstracts available then. The 2008 AGU Fall Meeting takes place December 15-19 in San Francisco, CA. 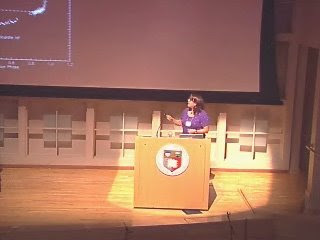 The 2008 Division of Planetary Sciences Meeting will be starting on Saturday and running through next Wednesday on the campus of Cornell University in Ithaca, New York. There is a Galilean Satellites oral session on Wednesday morning and a companion poster session on Monday afternoon. I mentioned a couple of the talks and posters a couple of weeks ago. I will not be attending the conference, but you and I will still be able to see the oral sessions. 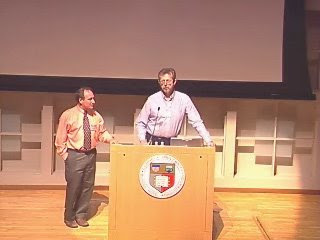 Cornell University will be broadcasting all the oral sessions live on the net! So hopefully, I can still provide coverage of the talks here next week. Now if only more conferences did this I really hope this goes well for the DPS so they will do this again next year. 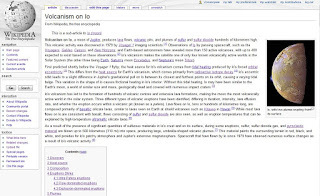 I was working on creating images for Wikipedia for various volcano article that I thought needed working on. Anyways, I ended up making what I think is one of the best color images of Pillan Patera from after its eruption. This color image combines high-resolution clear filter data from I24 (the 24ISSTEREO01 observation) and lower resolution color data acquired nine hours later (the 24ISGLOCOL01 observation). This combines to make a color images of Pillan Patera at ~1.45 km/pixel, but keep in mind that Pillan Patera was near the limb during the high-resolution observation. This image helps make clear some of the relationships between Pillan's lava flows, produced during an eruption in the summer of 1997, and diffuse deposits nearby. Click on the image at left to see a higher resolution version. The image is in simple cylindrical projection with a resolution of 1.45 km/pixel. I will post an update when the abstracts become available. Adaptive optics observations of Jupiter, acquired from Chile's European South Observatory, were released on Thursday. These images show Jupiter as it appears in the near-infrared near 2 microns, beyond the light that humans can see. So clearly, these are false color images that were released. But the images still are very cool, showing how the recent reshaping of Jupiter's cloud belts have affected its haze layers higher up in the atmosphere. For example, the brightest part of the haze layer over the equatorial belt has switched from the northern to the southern hemisphere. The observations resulted from a new system that allows the adaptive optics system to use moving reference targets for a longer period of time, allowing astronomers to use the AO system over a larger field of view. Speaking of ground-based observations of the Jupiter system, amateur astronomer Paul Haese has set up an online gallery showing the observations he has acquired of Jupiter during the last three years. 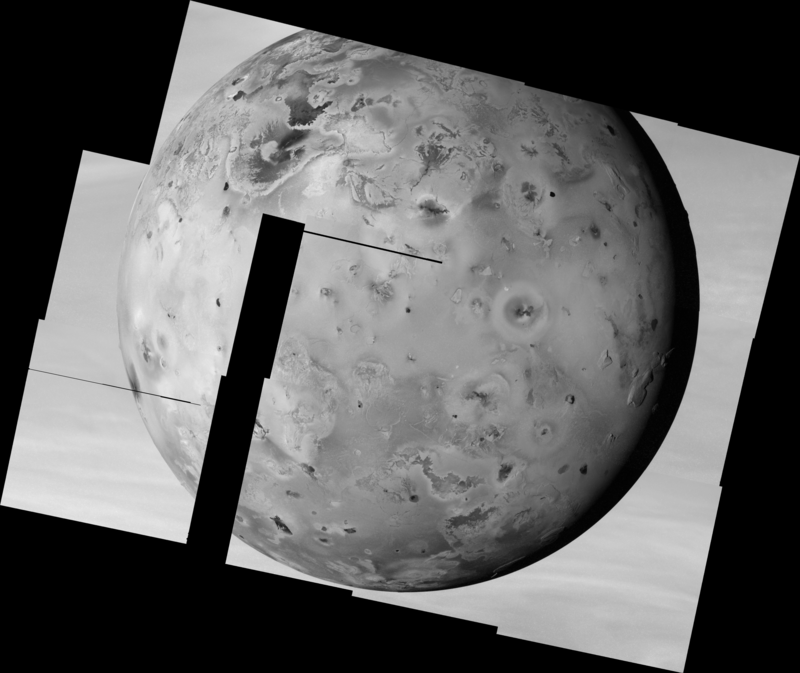 These images have high enough resolution to pick up some of the larger scale albedo markings on Io, like the difference in brightness and color between the polar and equatorial regions. Definitely worth checking out.